National Botanical Garden [Національний ботанічний сад ім. М. Гришка Національної академії наук України; Natsionalnyi botanichnyi sad im. M. Hryshka Natsionalnoi akademii nauk Ukrainy). 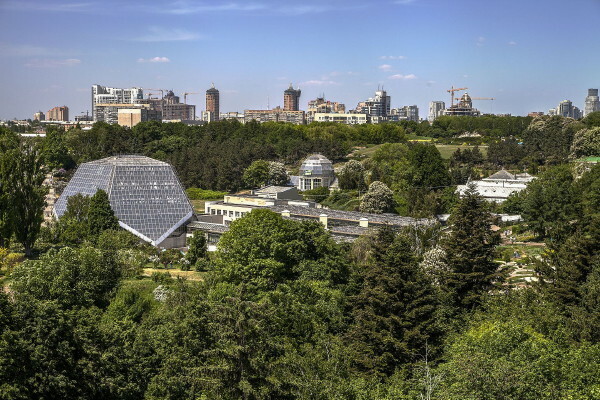 The botanical garden was established in 1936 and incorporated into the structure of the Institute of Botany of the Academy of Sciences of the Ukrainian SSR. During the Second World War it was heavily damaged but was later restored and expanded. In 1944 it became an independent scientific research institution under the name Central Republican Botanical Garden of the Academy of Sciences of the Ukrainian SSR. 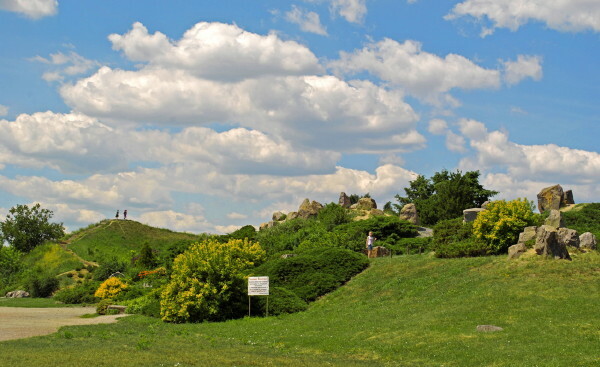 Today the National Botanical Garden is an independent unit of the National Academy of Sciences of Ukraine. 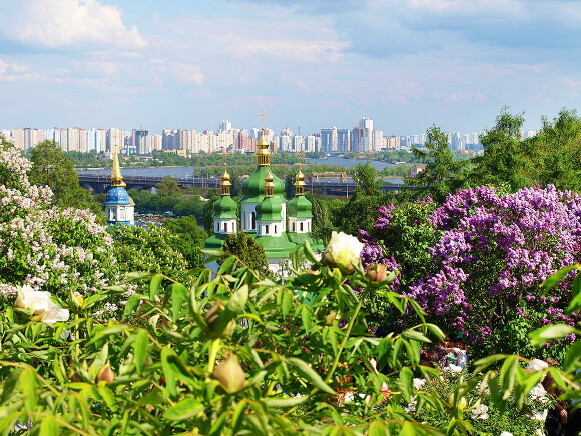 It is located in Kyiv on the slopes of the Dnieper River’s right bank. The garden has an area of 169 ha, with varying soil and orographic conditions. The institution has several hundred specialists working in 8 departments, a herbarium, an orangery, and a library. 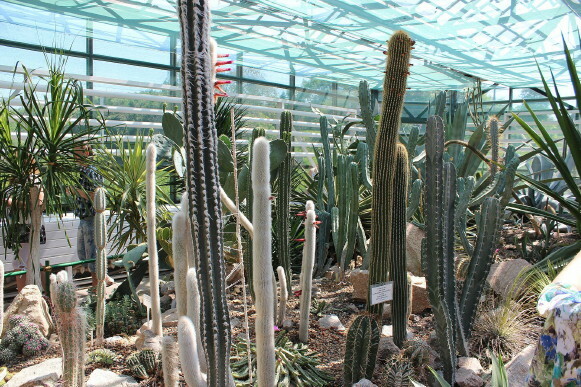 Its collections contain about 11,200 species and varieties of plants from all the continents. The institution conducts research in such areas as introduction and acclimatization, selection, ecology, plant physiology, and the protection of plants. Many new varieties of decorative and agricultural plants have been developed there.